Power: 65W. POWER CORD is included where applicable. Connector Size: 7.4 x 5.0mm. DC Output: 19.5V 3.34A. AC Input: 100~240V / 50-60HZ. New Genuine Adapter for Dell Laptop 65W 043NY4. 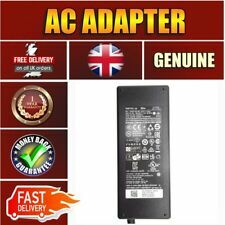 NEW GENUINE ADAPTER FOR DELL 65W 043NY4 LAPTOP. 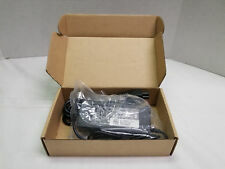 WE ARE DISPATCHING HIGH QUALITY GENUINE DELL ADAPTER AS SHOWN IN THE PICTURE. 100% Compatible Laptop Adapter. New Genuine Adapter for Dell Laptop 65W 043NY4. 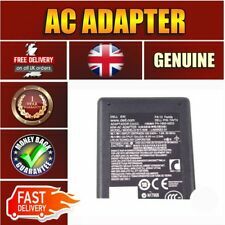 NEW GENUINE ADAPTER FOR DELL 65W 043NY4 LAPTOP. 100% Compatible Laptop Adapter. For Dell Laptop Only. WE ARE DISPATCHING HIGH QUALITY GENUINE DELL ADAPTER AS SHOWN IN THE PICTURE. New Genuine Adapter for Dell Laptop 65W 043NY4. WE ARE DISPATCHING HIGH QUALITY GENUINE DELL ADAPTER AS SHOWN IN THE PICTURE. 100% Compatible Laptop Adapter. 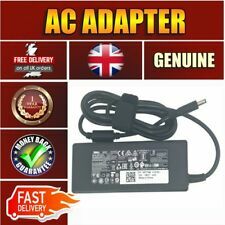 NEW GENUINE ADAPTER FOR DELL 65W 043NY4 LAPTOP. Type: Laptop AC Adapter. Laptop Screens. Laptop Adapters. Adapter Output: 19.5V 6.42A. Laptop Hard Drives. Adapter Input: 100-240V~1.5A 50-60Hz. Laptop adapters from various other adapter manufacturers can be used as long as the specifications are similar to the existing adapter. 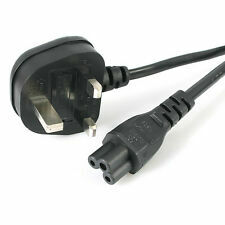 50X DELL CLOVER LEAF Genuine Lead 08859D UK Plug power cord 220V 240V 1.8m Brand new leads still in Dell original bag. Power: 90W. Input: AC 100-240V, 50-60Hz. Dell P/N : 9C29N, 1X9K3. 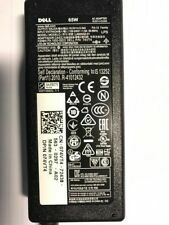 GENUINE Original DELL Inspiron 14 (5439) Vostro 5460 5470 5560 AC Adapter. These AC Adapters are Genuine Original DELL. P/NO; 0FWCRC. OUTPUT: 19.5V --- 12.3A. USED IN GOOD CONDITION. Type: Laptop AC Adapter. Laptop Screens. Laptop Adapters. Laptop Hard Drives. We are a direct partner with Dell. Adapter Output: 19.5V 4.62A. Adapter Input: 100-240V~1.5A 50-60Hz. Laptop adapters from various other adapter manufacturers can be used as long as the specifications are similar to the existing adapter. 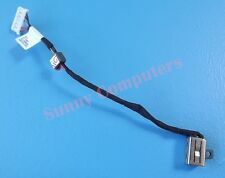 New Genuine Slim Adapter for Dell Laptop PA-12 Family 65W. 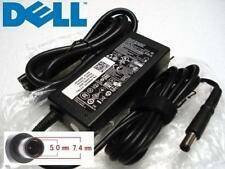 NEW GENUINE ADAPTER FOR DELL 65W PA-12 FAMILY. 100% Compatible Laptop Adapter. For Dell Laptop Only. WE ARE DISPATCHING HIGH QUALITY GENUINE DELL ADAPTER AS SHOWN IN THE PICTURE. 19.5v 4.62A, 90 watt TYPE: 6C3W2 PA-3E. PA-3-E FAMILY Now replaced with 6C3W2. DELL PART NOS. 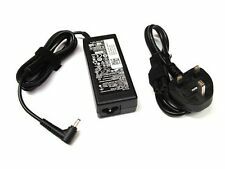 WK890 - AC ADAPTOR. Dell Latitude E5400 E5500 E6400 E6500. Studio 1555 1557 1558 1564. Type: Laptop AC Adapter. Laptop Screens. Laptop Adapters. Adapter Output: 19.5V 3.34A. Laptop Hard Drives. Adapter Input: 100-240V~1.5A 50-60Hz. Laptop adapters from various other adapter manufacturers can be used as long as the specifications are similar to the existing adapter. AC Input: 100~240V / 50-60HZ. Warranty: 1 Year. Power: 65W. The warranty is not valid in cases of improper use. All of our products are 100% original (unless otherwise stated) and carry free extended warranty. Pin Size:4.5mm 3.0mm. Why Buy From Us?. 3 Years Warranty. Type: Laptop AC Adapter. Laptop Screens. Laptop Adapters. Adapter Output: 19.5V 3.34A. Laptop Hard Drives. We are a direct partner with Dell. Adapter Input: 100-240V~1.5A 50-60Hz. Adapter Family : PA12. Type: Laptop AC Adapter. Laptop Screens. Laptop Adapters. Laptop Hard Drives. We are a direct partner with Dell. Adapter Output: 19.5V 4.62A. Adapter Input: 100-240V~1.5A 50-60Hz. Adapter Family : PA-3E. Type: Laptop AC Adapter. Laptop Screens. Laptop Adapters. We are a direct partner with Dell. Laptop Hard Drives. Adapter Output: 19.5V 4.62A. Adapter Input: 100-240V~1.5A 50-60Hz. Laptop adapters from various other adapter manufacturers can be used as long as the specifications are similar to the existing adapter. Latitude: E5420, E5520, E6420, E6520, E4200, E5420, E5520, E6420, E6520, E4300, E5400, E5410, E5500, E5510, E6400, E6400 ATG. Dell Latitude D600, D610, D620, D630, D800, D810, D820, D830, X300, E5400, E5500, E6400, E6500. Adapter Output: 19.5V 4.62A. We are a direct partner with Dell. Type: Laptop AC Adapter. Adapter Input: 100-240V~1.5A 50-60Hz. Adapter's part no. / model no. or model nos. Even though if the part nos. Type: Laptop AC Adapter. Laptop Screens. Laptop Adapters. Adapter Output: 19.5V 2.31A. Laptop Hard Drives. Adapter Input: 100-240V~1.5A 50-60Hz. Laptop adapters from various other adapter manufacturers can be used as long as the specifications are similar to the existing adapter. Type: Laptop AC Adapter. Laptop Screens. Laptop Adapters. Adapter Output: 19.5V 4.62A. We are a direct partner with Dell. Laptop Hard Drives. Adapter Input: 100-240V~1.5A 50-60Hz. Laptop adapters from various other adapter manufacturers can be used as long as the specifications are similar to the existing adapter. Adapter Family : PA12. We are a direct partner with Dell. Type: Laptop AC Adapter. Adapter Output: 19.5V 3.34A. Adapter Input: 100-240V~1.5A 50-60Hz. Adapter's part no. / model no. or model nos.